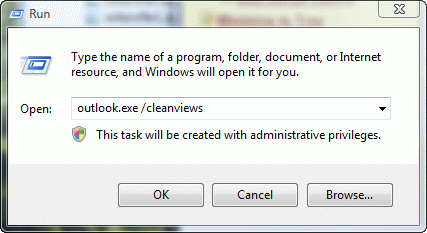 Add a new PST using the File, New, Outlook Data File menu. 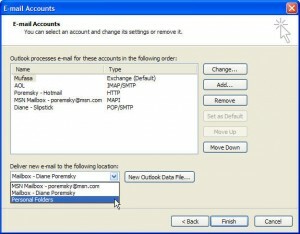 Open the Email Accounts dialog on the Tools menu. 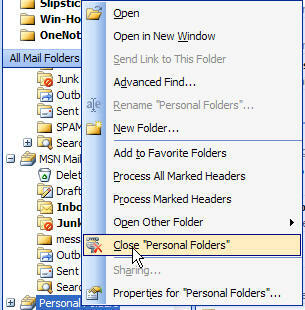 Select the new personal folders file from the Deliver new email to the following location list. 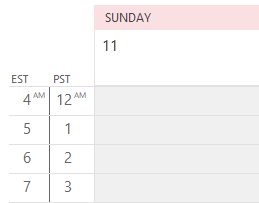 Click Finish and restart Outlook. Show the folder list, using Ctrl+6 if necessary, and find the old Outbox. Delete the message. Repeat steps 2, 3, 4, and 5 to restore the original pst as the default delivery location. 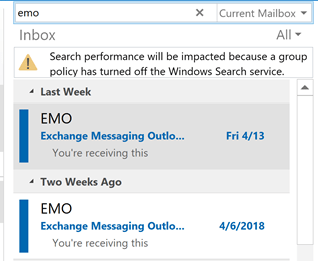 Show the folder list and move any new messages from the new pst to the original pst. Right click on the new folder's name and Choose Close to remove it from your profile. Published September 16, 2004. Last updated on December 17, 2015. I am trying to send my emails but this thing is blocking them pls help! 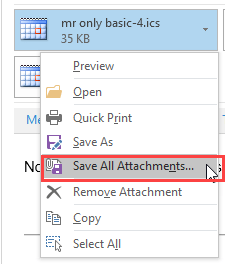 Set Outlook offline, wait a few minutes (longer if the email is large) and then delete it. "Work Offline" worked for me. Thanks a bunch. I used Bill's simple method too -- thanks so much for the easiest fix of all, it works!